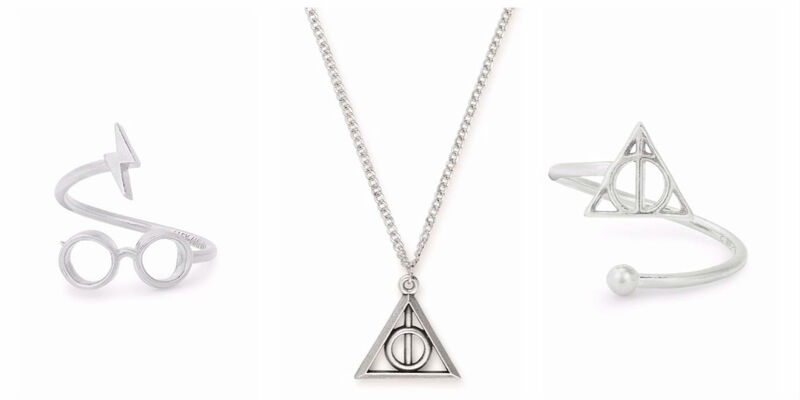 The 11 pieces in the collection—including necklaces, bracelets, rings, and earrings—are classy enough to wear to the office or more formal occasions, while providing a clear nod to J.K. Rowling‘s magical world. Fellow fans will recognize unique symbols like the Deathly Hallows and Harry’s iconic glasses crafted in sterling silver and gold plating. Even better, the collection is pretty affordably priced. The wrap rings start at $28, while the set of three expandable bangles top out at $98. If you have a particular film or book whose symbols inspire you, we can custom design wearable art just for you!